Dive deep into our practical, theoretical and magical material, to develop your practice and teaching more dimensionally. Substantiate yourself, develop competency, and free up your imagination. From the esoteric ideas of Taosim, to the very pragmatic way of holding a right angle, we will move through techniques that articulate the Katonah Yoga theory that you may have heard, but have not yet made use of in your teaching or embodied in your practice. Most people who come to our studio, even if they’ve been trained in other modalities and approaches, are beginners to the Katonah material. It is much like learning a new language, agitating at first, while demanding and searingly precise. The Taoists believe that you are a beginner for seven years. At anything. We cover theoretical principles in our curriculum, as theory paves the way to practice. Theory is universal, and the techniques and skills available to be learned through the material can be applied to any practice, for both novice and veteran. While you may be a beginner to Katonah Yoga, chances are you are not a beginner at other things or in other ways. All participants have their own life experiences through which they filter our material, which adds immeasurably to a group’s cohesion. What if I'm already a teacher? Katonah Yoga is not a sequence or a method, but a body of theory and an approach to learning that will inform not only your teaching style, but your life practices; giving you a broader vision with which to see your students, and new personal rituals to infuse into your own work. Learning how to read a body and how to to use yourself as a leveraging tool to adjust and redirect your students' experience, gives your teaching more dimension. Teachers who have been trained well and who are already teaching come with their own body of knowledge, references and goals. But regardless of how you were trained, Katonah Yoga is often radically different from anything you have experienced in the past, feeding your imagination, expanding your view, and inspiring you with new ideas that you can integrate into your own teaching and life. Is it a repetition of the first 30 or 50 hour I took? Malcolm Gladwell says it takes 10,000 hours to become skillful. Whether you are planning on becoming a master yogi or just a more thoughtful student, seeing it, hearing it, smelling it and tasting it again and again will build your capacity to not only see, but develop vision, not only hear, but listen dimensionally, not only smell, but sniff out your life situation, not only taste, but take a bigger bite out of the universe. An intensive engages and demands a different focus, a way of participating that allows us to go deeper, for greater insight; leading to mastery of theory and more facility to articulate your self-expression. Like anything worth learning, our material changes and grows exponentially through time, use, and creativity. There is always more. An impressive practice and even years of study does not guarantee good teaching; this comes with time, repetition, nuanced knowledge of theory, feeling like you everything, then humbly realizing you know nothing at all. How do I go from learning the material to teaching the material? The progression from learning to teaching takes time. Practicing with us, playing with others, putting theory in your mouth, embodying the practice, over months or even years, gives us the opportunity to try, test, refine, redefine and transform ourselves into the person, the teacher, the producer, the baker, the candlestick maker, that we want to be. It's the long haul, the journey, showing up again and again, showing up when you think you know it, when you think there's nothing more to learn, when you feel humbled by it. It's about immersing yourself in the material, engaging with the community and becoming a member of the hive in every way. Become a presence, become a set of hands, become someone's apprentice, become ubiquitous, we'll all thrive because of it. How can I become a certified Katonah Yoga teacher? 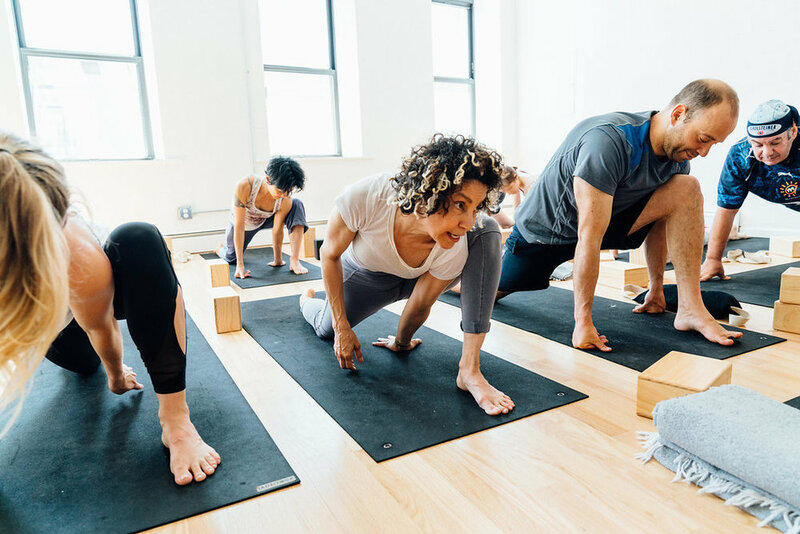 To become a certified Katonah Yoga teacher, complete 200 hours of Katonah Yoga education with certified Katonah Yoga instructors, after completing a prerequisite 200 hour RYT (Yoga Alliance) training. All of our intensives, workshops and classes count toward the 200 hour Katonah Yoga education requirement. For more information on this and to begin the process of becoming Katonah certified visit Katonah Yoga Center to become. All of the proceeds from our community classes, taught by our apprentices (future teachers in training) go toward our scholarship fund. 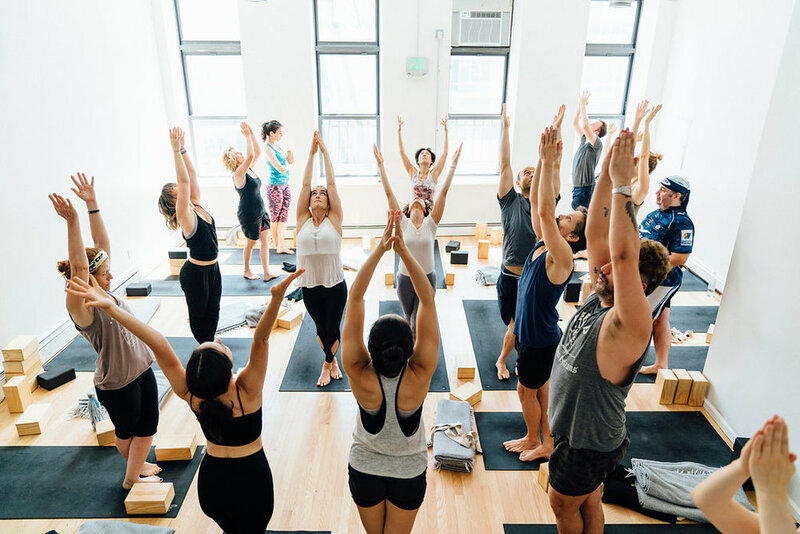 We will offer two full scholarships for each of our 30 Hour Katonah Yoga Intensive Trainings offered in NYC. To apply follow the link to the right and tell us something implicit about yourself: who you are, how you found us, why you need the scholarship and what you plan on doing with the material. Please note which training(s) you are applying for.